Irrfan's wife said that the battle "won't be easy"
A week later, Mr Khan's wife Sutapa Sikdar posted this on Facebook: "I am at present focused in the strategies of the battlefield which I have to conquer. It wasn't and isn't going to be easy but the hope ignited by the magnitude of family, friends and fans of Irrfan has made me only optimistic and almost sure of the victory." AIIMS oncology assistant professor Dr Sunil Kumar told news agency PTI that neuro-endocrine tumour is a "special or rare" form of cancer. "They originate from nerve and gland tissues combined. These are special cells which are present in either the GI (gastrointestinal) tract or in the lungs. There are special cells which are generally immature in nature and don't have very good behaviour," he told PTI. 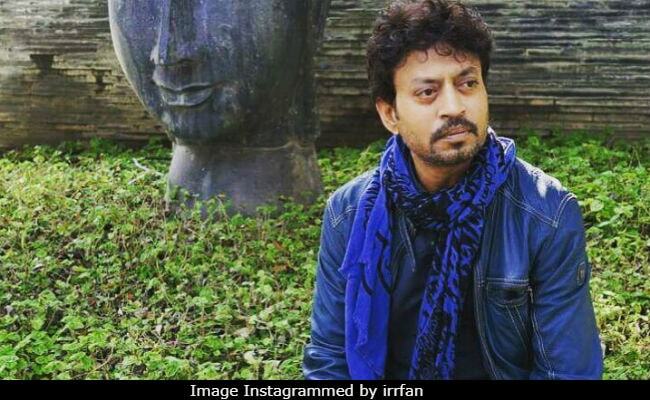 Irrfan Khan has not revealed when he will leave for his treatment but the director of his new film Blackmail says that the actor has insisted the movie releases on April 4 as scheduled. "Irrfan doesn't want us to postpone the film. Bhushan (producer Bhushan Kumar) and I will make sure that Blackmail gets the best possible release," Abhinay Deo told news agency IANS. "When I met him, he was very curious to know about the trailer, songs and the dialogue promos that we would be making. His only request was that the film should get the best possible release and it should not suffer because of his absence," Mr Deo added. He previously said that Irrfan Khan had shown no sign of illness while filming Blackmail. Irrfan Khan's line-up of future projects includes one with Piku co-star Deepika Padukone.